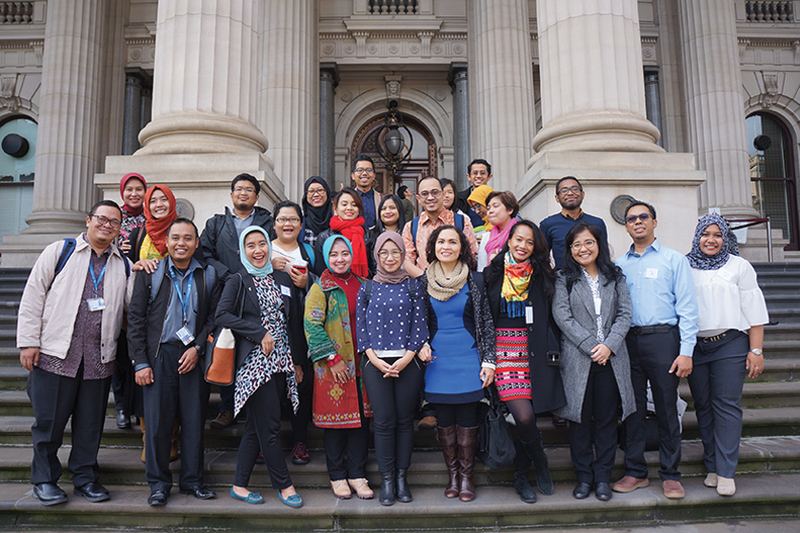 ‘BAGUS’ (Bringing Australian Government Understanding to Students) provides awardees with an opportunity to learn about the systems of government operating in Australia. The program will answer your questions about the Australian parliamentary system and will provide a valuable comparison/contrast with the Indonesian parliamentary system. BAGUS is offered under the ‘Australian Society’ stream offered as part of AAI’s On Award Enrichment. BAGUS 1 Day Workshops will be delivered around Australia and facilitated by a government systems expert. Awardees in each location will be contacted by email approximately one month prior to each BAGUS, seeking expressions of interest for participation in the activity. All BAGUS participants will receive an Australia Awards Statement of Participation and will be eligible for consideration to participate in the BAGUS 3 Day Seminar to be held in Canberra in November 2018. This seminar will expand upon the content of the oneday workshops and participants will meet with a range of key stakeholders to explore professional linkages and opportunities between Australia and Indonesia. Participants in both the BAGUS 1 Day Workshop and BAGUS 3 Day Seminar will receive an Australia Awards Certificate of Attendance. In 2018, BAGUS oneday workshops will be offered across all states of Australia. Specific dates of each activity will sent by email to awardees in each location.